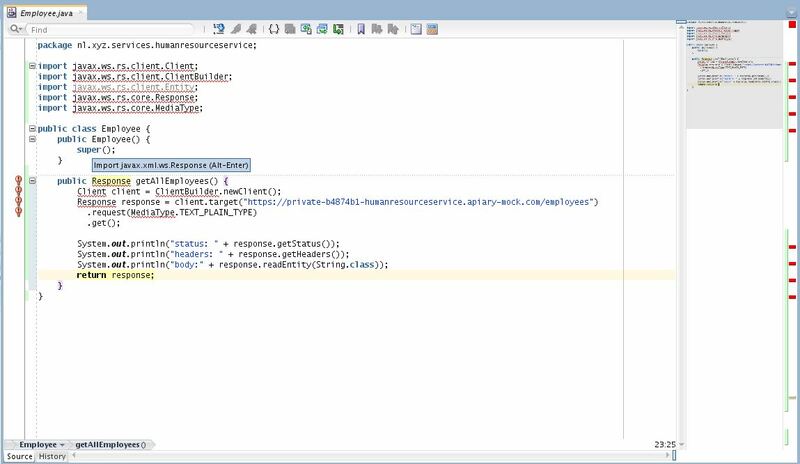 In my article “Oracle API Platform Cloud Service: Design-First approach and using Oracle Apiary”, I talked about using Oracle Apiary and interacting with its Mock Server by using code examples. 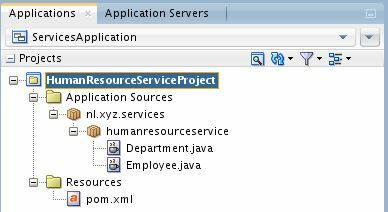 One of the examples for the “HumanResourceService” API is about the action “Get all employees” in combination with “Java” as language. With that example, also the dependencies to be used in a Maven pom.xml (java6+) are given. This example triggered me to try out the Oracle JDeveloper, Maven and Java combination. 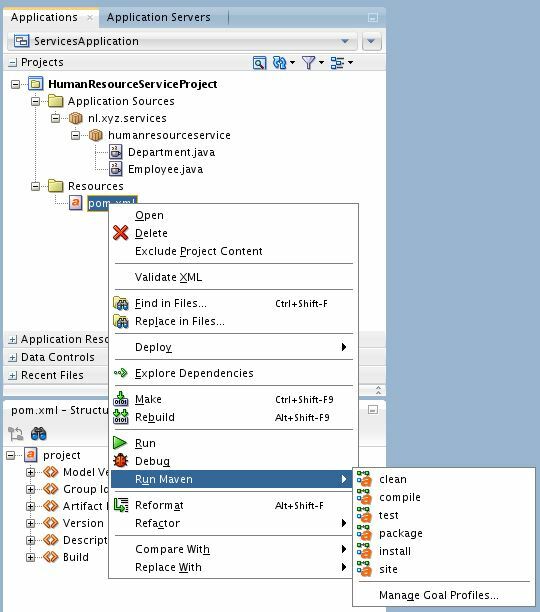 In this article the focus will there for be on calling the Oracle Apiary Mock Server from Java code, with the help of Oracle JDeveloper (in combination with JUnit and Maven). Before starting the appliance I included a SharedFolder (visible on the desktop as sf_MySharedFolder). 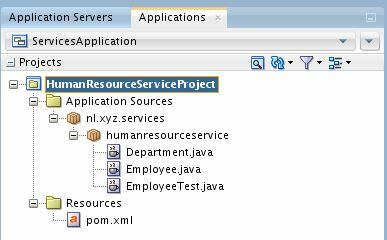 In Oracle Apiary, for the “HumanResourceService” API, one of the code examples for interacting with its Mock Server is about the action “Get all employees” in combination with “Java” as language. With that example, also the dependencies to be used in a Maven pom.xml (java6+) are given. I started Oracle JDeveloper and first I took a closer look at the Maven implementation. 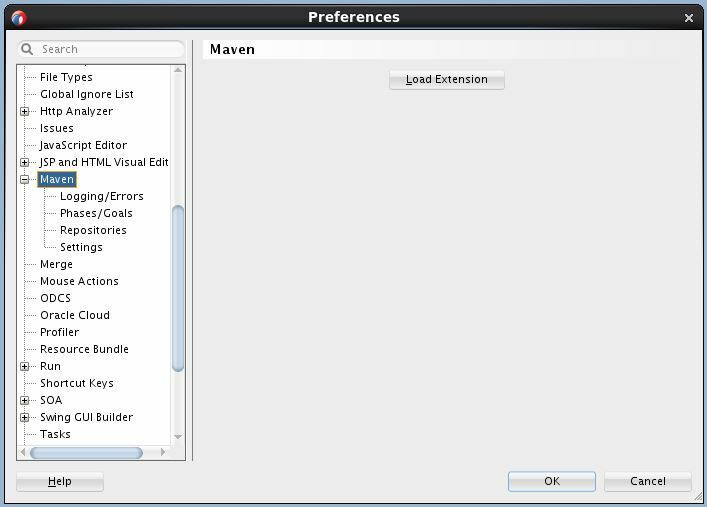 Via menu Tools | Preferences.. | Maven you can manage the Maven implementation. The first time, click on button “Load Extension”. 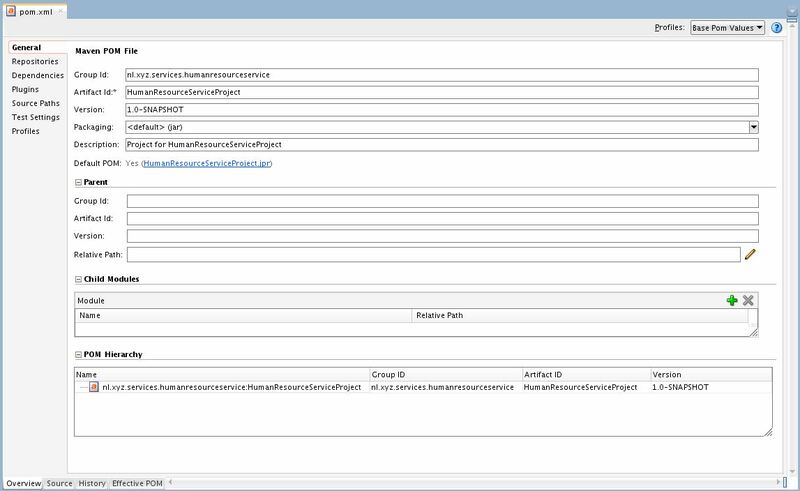 Then you can see that the JDeveloper Embedded Version (3.2.5) is used. 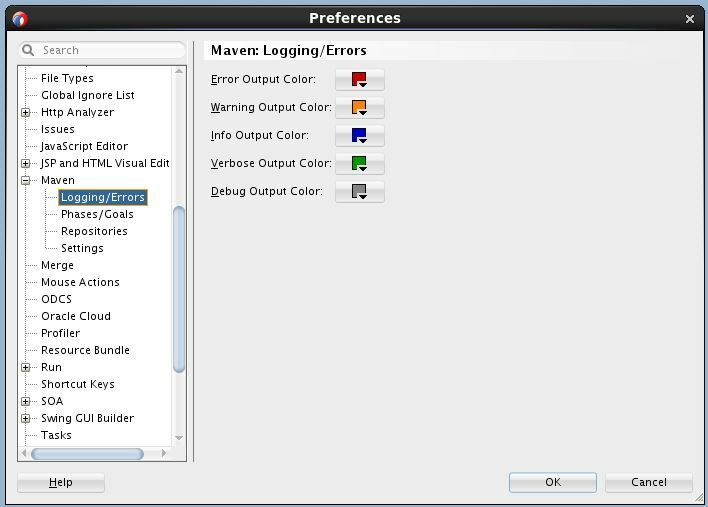 Next I took a look at the other Maven preferences. Here you can see which repositories are used. 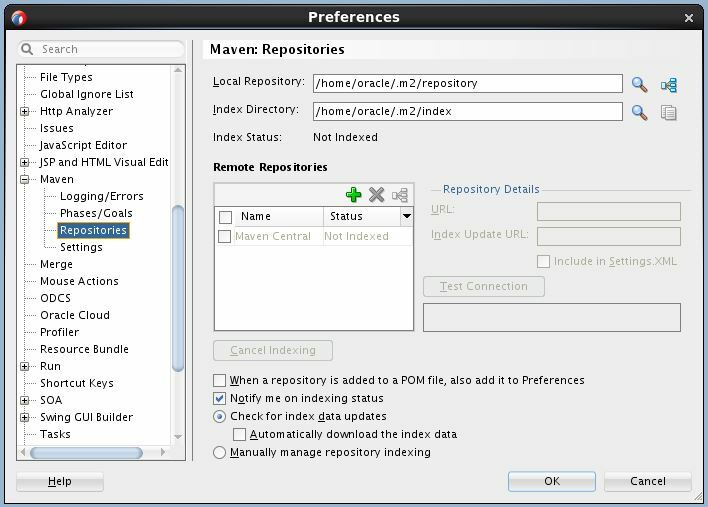 A Maven repository holds build artifacts and dependencies of varying types. The local repository refers to a copy on your own installation that is a cache of the remote downloads. It also contains the temporary build artifacts that you have not yet released. 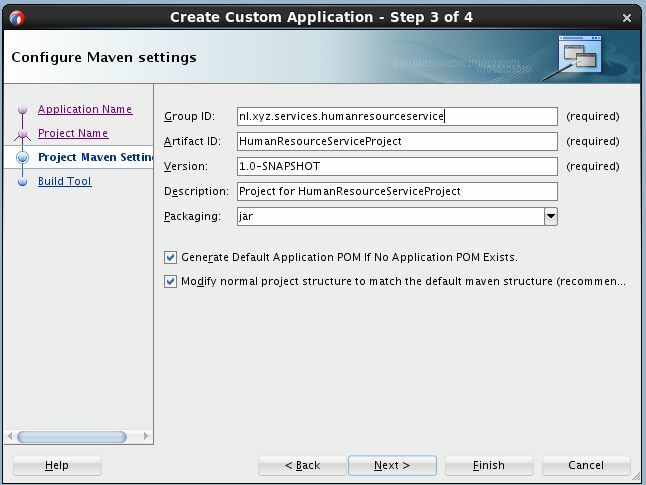 Here you can specify the location of the Maven settings.xml file and specify command line options for Maven. 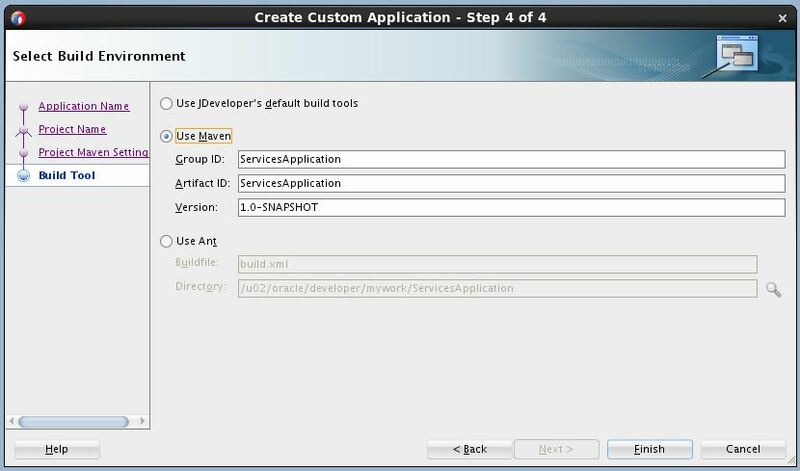 To match the default maven structure in JDeveloper I created a Custom Application. 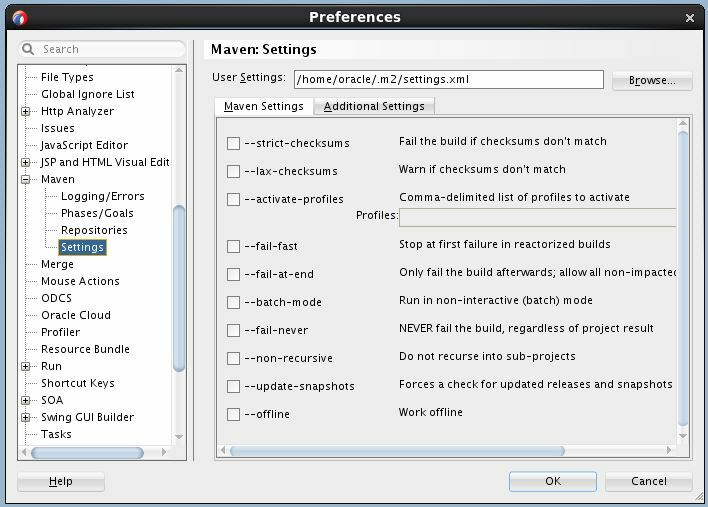 Be aware that there are other options in JDeveloper to work with Maven projects. 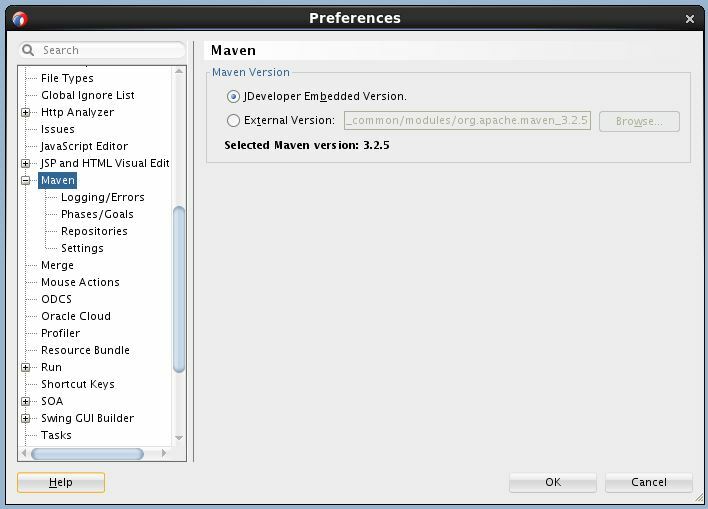 For example by using Maven Archetypes. Via menu File | New | Application.. | Custom Application an application can be created that matches the default maven structure (maven standard directory layout). 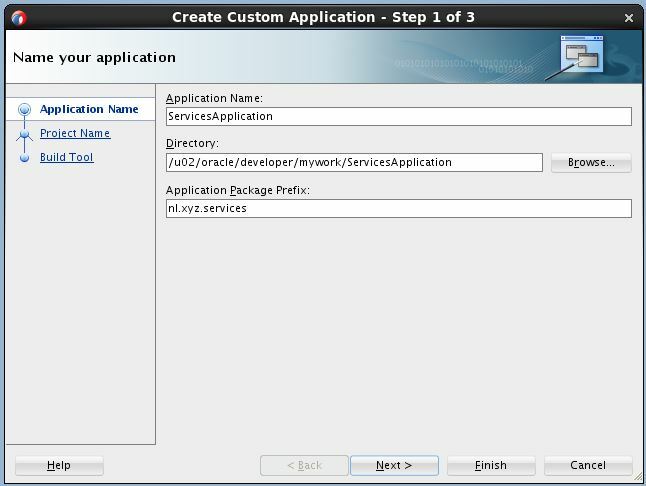 In the wizard, I created application “ServicesApplication” with Application Package Prefix “nl.xyz.services”. 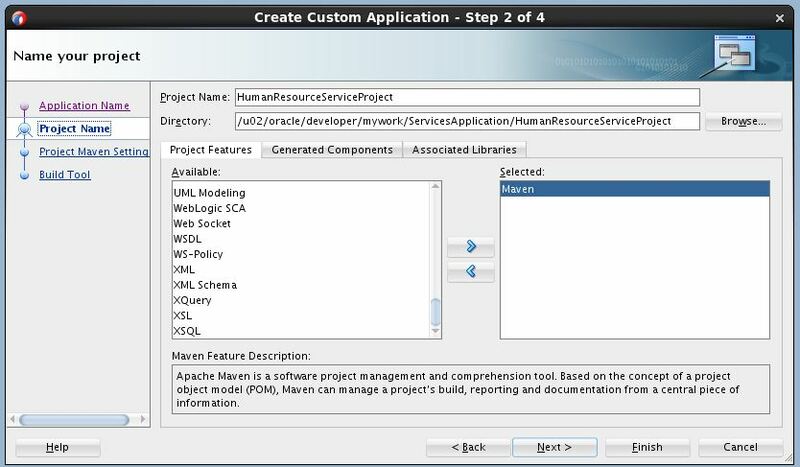 After clicking on the button “Next >” I filled in the Project Name “HumanResourceServiceProject” and as Project Features, selected “Maven”. In the next screen, I changed the default Group ID from nl.xyz.services to nl.xyz.services.humanresourceservice. 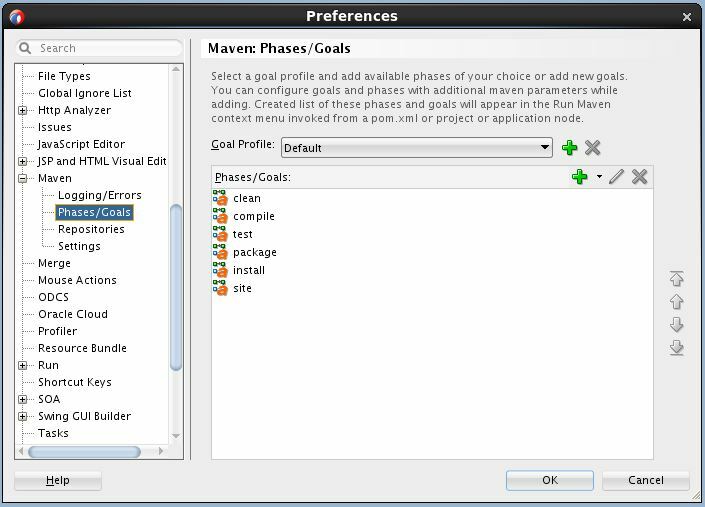 Also the checkbox was checked, to modify the normal project structure to match the default maven structure. In the next screen, “Use Maven” was chosen. 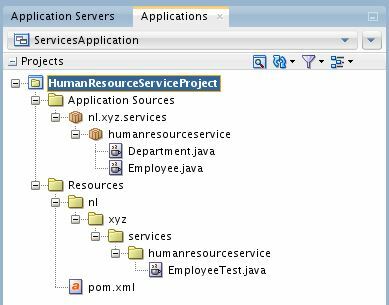 In the “Project Source Paths” screen, I changed the Default Package from nl.xyz.services to nl.xyz.services.humanresourceservice. 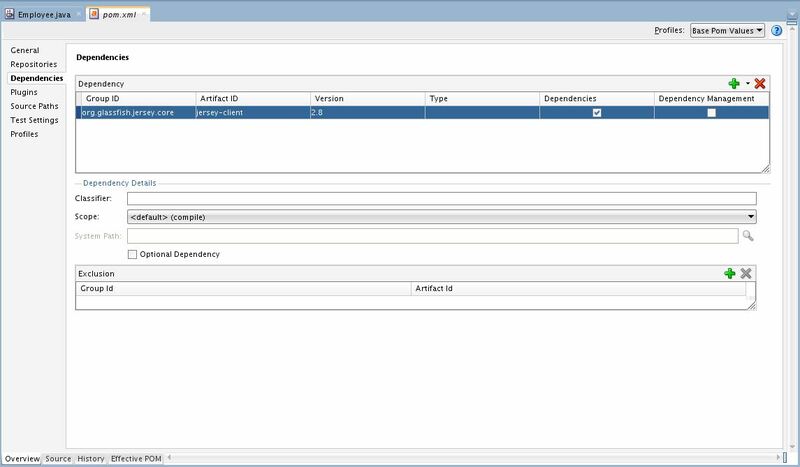 As described in my previous article, the “Human Resource Service” API contains actions for “Employees” and “Departments”. So there for I decided to create two Java classes corresponding with them. Via menu File | New | Java Class…, I created a Java class called “Employee” and in the wizard, I unchecked “Implement Abstract Methods”. In the same way I created a Java class called “Department”. So far so good. 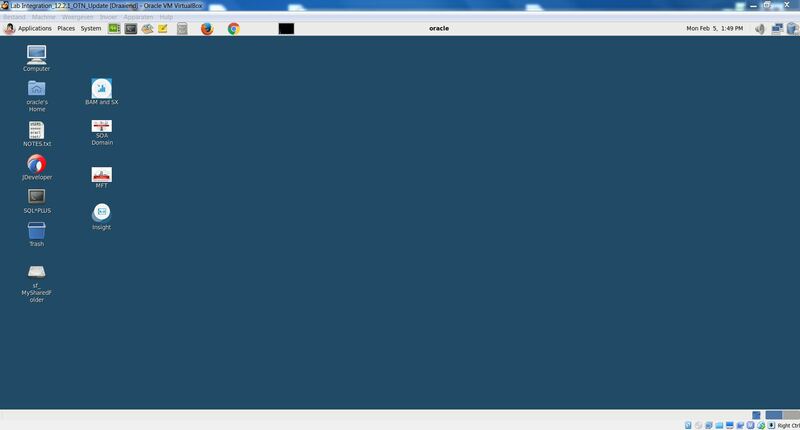 In JDeveIoper, I created an Application, Project and two Java classes. Time to put Maven to work. The JDeveloper proxy settings (see Tools | Preferences | Web Browser and Proxy) were set on: Use System Default Proxy Settings. With this option, the server uses the default proxy settings on your machine. These are taken from the operation system (in the case of Windows and MacOS) or from the window manager (in the case of Linux). 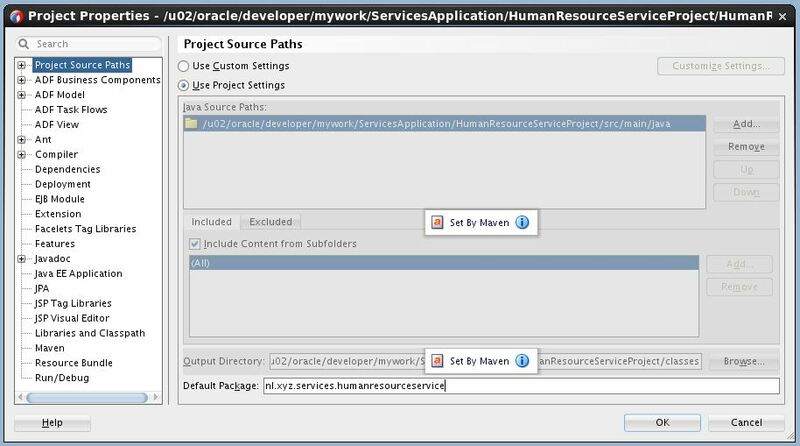 In Oracle Apiary, for the “HumanResourceService” API, one of the code examples for interacting with its Mock Server is about the action “Get all employees”. There for I changed the code for Java class “Employee” and used the Java code example from Oracle Apiary. Of course then there were several issues found. 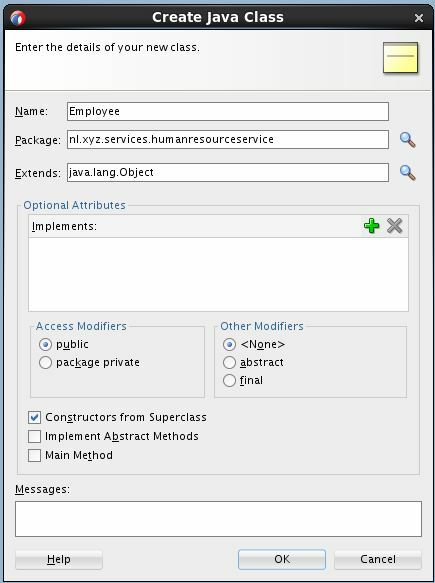 In line with the comment (// Maven : Add these dependecies to your pom.xml (java6+)) in the Java code example from Oracle Apiary, dependencies had to be added in the Project level Maven POM file. After saving the pom.xml, the dependencies where being resolved. 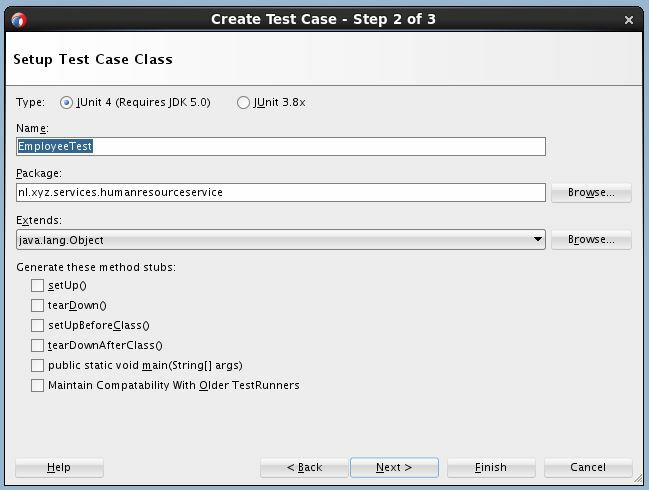 In order to invoke the Oracle Apiary Mock Server for the action “Get all employees” from the Java class “Employee”, I decided to use a JUnit TestCase class. For this I had to install an Oracle Extension for Oracle JDeveloper. 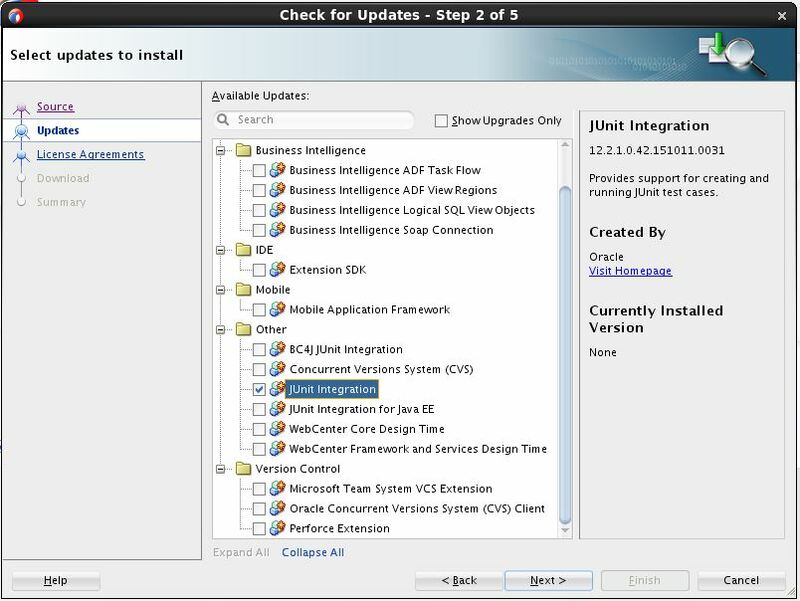 Via menu Help | Check for Updates…, from the list of Available Updates, I choose “JUnit Integration” and installed it. After the install, a JDeveloper restart was done. In the Applications window for the “ServicesApplication”, after a right-click on package nl.xyz.services.humanresourceservice, via the menu File | New | From gallery… | General | Unit Tests | Test Case, a wizard was started. In the dropdown box I selected the Java class “Employee”, checked the check box for method getAllEmployees() and clicked on button “Next >”. After clicking on Next and then Finish (in the screen above) a Java class “EmployeeTest” was created. There were several issues found. The needed JUnit library seemed not to be part of the classpath. A right-click on Java class “EmployeeTest” followed by Make and then followed by Reformat fixed the problem and the issues disappeared. Notice that a dependency for JUnit was automatically added to the Project level POM file. Of course you can also create a dedicated project in the application for testing. 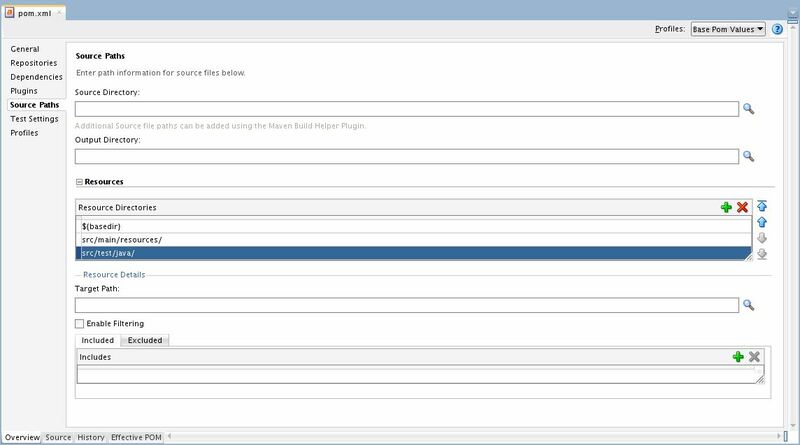 See also the tab “Test Settings” in the Project level Maven POM file overview screen. There were no test classes found! This is because the Java class “EmployeeTest” is not in the correct default maven structure (maven standard directory layout). To fix this, the JUnit TestCase class has to be in the right subdirectory under the src/test/java (Test sources) directory. This can be done in several ways, but I used File | Save As… . 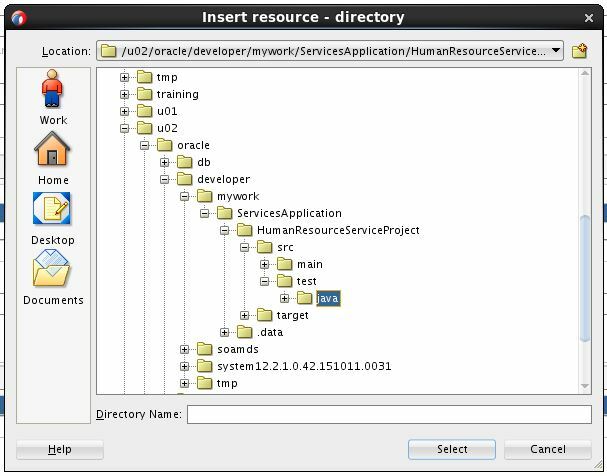 In the Save As screen, via repeated use of the icon “Create new subdirectory”, I created the following subdirectory: src/test/java/nl/xyz/services/humanresourceservice and then clicked on button “Save”. In the “Save Warning” pop-up I clicked on button “Yes”. In the “Add to Project Content” pop-up, I selected “Java Paths” and clicked on button “OK”. 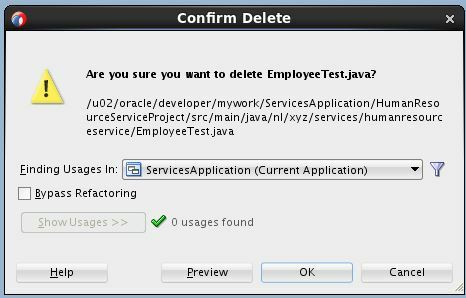 Then the Java class “EmployeeTest” was deleted, via right-click | Delete. In the “Confirm Delete” pop-up, I clicked on button “OK”. Tests run: 1, Failures: 1, Errors: 0, Skipped: 0, Time elapsed: 0.013 sec <<< FAILURE! nl.xyz.services.humanresourceservice.EmployeeTest.testGetAllEmployees() Time elapsed: 0.008 sec <<< FAILURE! 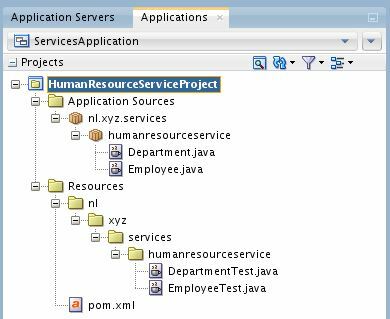 [ERROR] Failed to execute goal org.apache.maven.plugins:maven-surefire-plugin:2.12.4:test (default-test) on project HumanResourceServiceProject: There are test failures. [ERROR] Please refer to /u02/oracle/developer/mywork/ServicesApplication/HumanResourceServiceProject/target/surefire-reports for the individual test results. Process exited with exit code 1. There was a test class found, but it failed. This was an expected outcome, because of the org.junit.Assert.fail(String message) method, which fails a test with the given message. 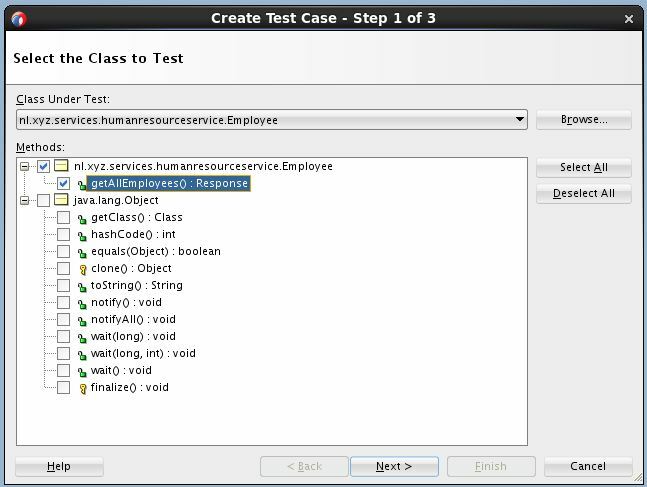 In order to make the Java class “EmployeeTest” visible in the Applications window for the “ServicesApplication”, the Project level POM file had to be modified. Where I selected the src/test/java subdirectory. Looking at this output it was obvious that interacting with the Oracle Apiary MockServer action “Get all employees” from Java class “Employee” via the Java class “EmployeeTest” worked correctly. 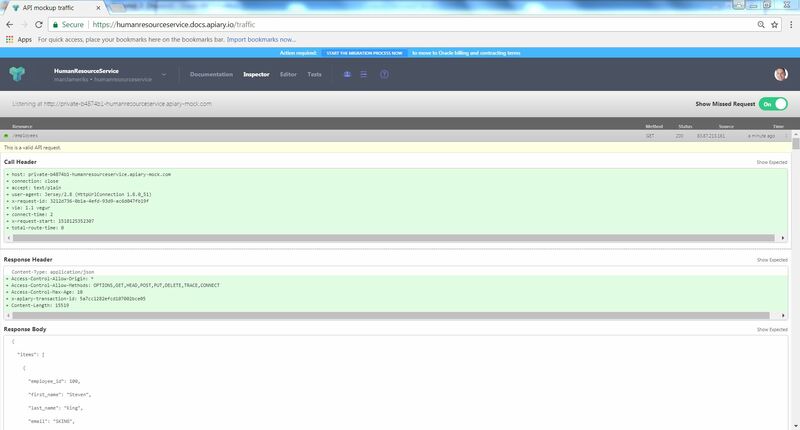 I then started Oracle Apiary, via: https://apiary.io/ , where I signed in and looked at the API Inspector. 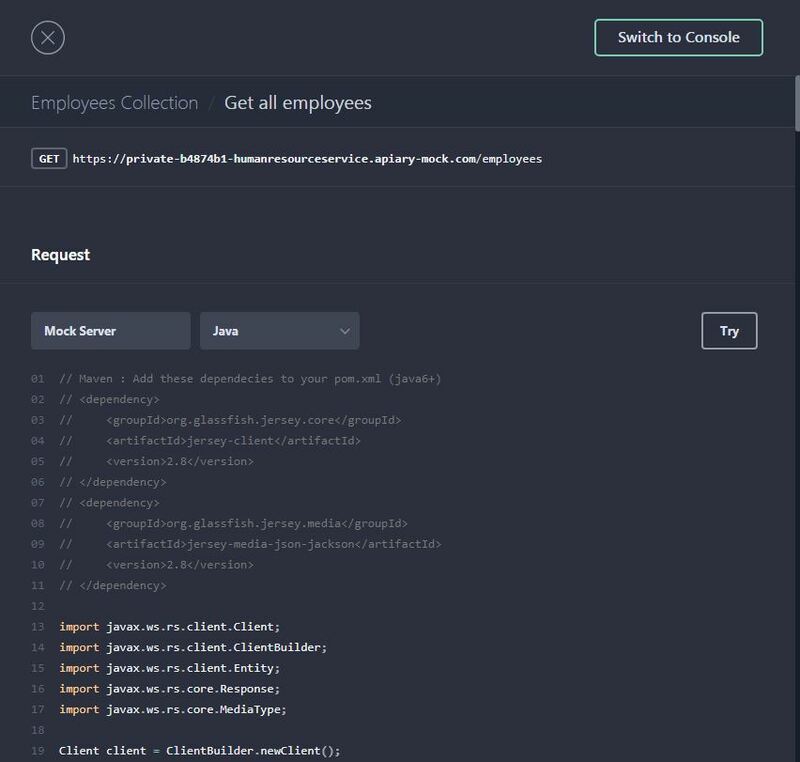 Each request and response from the Mock Server is logged in the API Inspector, which can be found by clicking “Inspector” in the Apiary header. There you will see each request received, each response given, and any validation errors that were found. So now a successful call to the Oracle Apiary MockServer action “Get all employees” was made, from Java class “Employee” via the Java class “EmployeeTest”. There were other actions that had to be implemented, and also in the Java class “Department”. So, in the same way as Java class “EmployeeTest”, I created Java class “Department Test”. 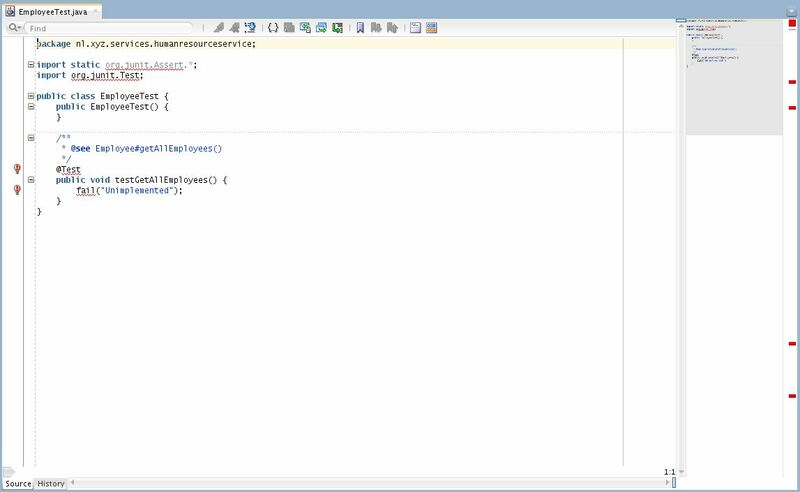 Below you can find the code for the Java classes. All the Java code in this article is not suitable for a production environment, but meant as simple examples. This results in subdirectory target being deleted from the file system. As a follow up from my previous article, in this article the focus is on calling the Oracle Apiary Mock Server from Java code. 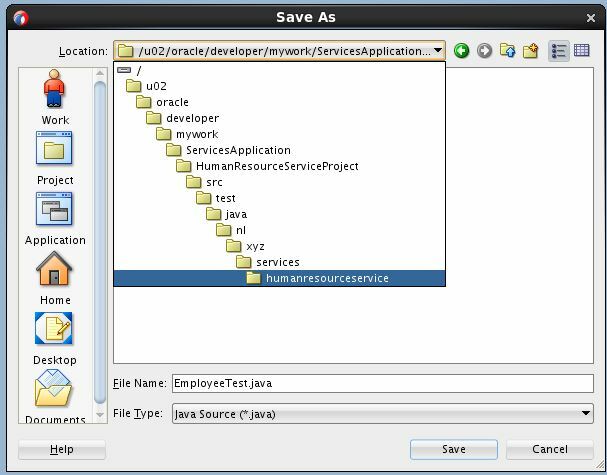 This article shows you how, with the help of Oracle JDeveloper 12.2.1 in combination with JUnit and Maven, a successful call to the Oracle Apiary MockServer action “Get all employees” from a Java class was made, and also to other actions for “Employees” and “Departments”.